It seems the issue of the proposed reforms in the Southern African Customs Union (SACU) and the resultant effect these may have on member States continues to be a cause for concern to Emaswati, hence their indication of a need for research studies that may help the country prepare itself for all possible outcomes. On the other hand, government’s expenditure continuously comes under the spotlight as well, as evidenced by the need for research into the public procurement system in Eswatini. These are some of the views that came up during a consultative research agenda setting workshop on economic policy research that was hosted by the Eswatini Economic Policy Analysis and Research Centre (ESEPARC) on February 12 at Sibane Hotel. The workshop was to solicit information to inform future economic policy research and to determine where gaps exist in economic policy research in the country. Representatives from the public sector, parastatals, and the private sector participated in the workshop, where they discussed and identified research opportunities, and subsequently came up with a list of research priorities that may form the basis for ESEPARC studies in the 2019/20 financial year. Executive Director Dr Thula Sizwe Dlamini noted that while the overarching goal and mandate of the Centre is to conduct economic policy research in the country, ESEPARC also has a duty to monitor the performance of Eswatini’s economy and the management of public policy implementation, especially with regard to the implications for economic and social development, as well as to offer policy advice to the Government. “It is becoming clear that our economy is not responding to current policy prescriptions and/or strategies. For instance, imports are high amidst low economic competitiveness and depressed aggregate demand. There is a lack of tacit productive capacities, limited recognition of the informal sector – and by implication SMMEs (small, medium, and micro-sized enterprises),” he pointed out. A baseline study to understand the public procurement system in Eswatini to inform the Public Procurement Policy. How does Eswatini see itself without SACU: An analysis of a post-SACU Eswatini? Where is Eswatini most vulnerable in terms of climate change: A vulnerability and adaptation assessment? How can government balance its expenditure and revenue? The socio-economic impact of government’s capital expenditure: the case of a multiplier effect. Is the tertiary education system in Eswatini still relevant to industry needs? What is the cost of tax compliance to the taxpayer and the tax collector in Eswatini? What is the value of illicit trade flows in Eswatini? 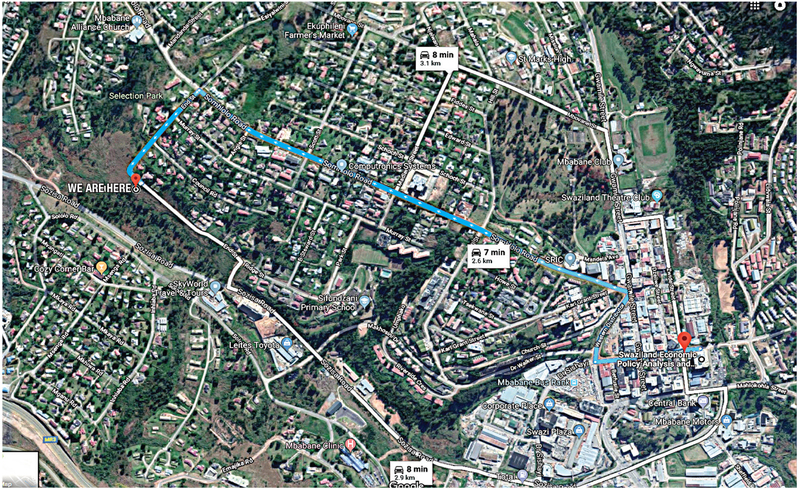 The impact of unbundling the Eswatini Post and Telecommunications Corporation (EPTC) and Eswatini MTN. A gap analysis on climate change awareness: the challenges and capacities.